Well-known human rights activist Shabnam Hashmi recently returned the National Minority Rights Award in protest against mob lynching. Her protest comes in the wake of 16-year-old Junaid's murder in broad daylight. Hashmi has said that the National Commission for Minorities, which conferred the award on her in 2008, has lost all its credibility. ICF interviewed her in this context. 1. Starting at Trilokpuri, Bhawana and Dadri, the attack on minorities has been constant. Why did you decide to return your award now, after Junaid was lynched? We either do various activities as part of our daily life that fulfil our intellectual and creative desires, help us achieve whatever is our mission in life, or we react to situations around us. Every person reacts differently to a particular situation. The initial reaction is always to try and find a solution and keep the hope alive. When the threshold of patience is crossed and hopelessness starts setting in, then actions such as these are required to shake up the society. The lynching of a 15-year-old-child, Junaid, seemed that moment when I could no longer contain my anger. 2. In your open letter to the members of the National Commission for Minorities, you have mentioned that the state has unaccountably outsourced state violence, then how is the state answerable for the attack on minorities? The impunity with which attacks are taking place on minorities, without any outrage, without any action to stop them, without instructions from the Home Ministry to the states to stop the violence and constant hate statements by various ministers of the present government, clearly indicate an open connivance by the State. 3. The VHP has demanded the scrapping of both the Minority Commission and the Minority Affairs Ministry because they give "credence to a separatist mindset”. What is your reaction to this? Nothing surprises me. It is only the beginning. The Rashtriya Swayamseval Sangh has waited for over 90 years to turn a secular, democratic and diverse India into a Hindu Rashtra. They are leaving no stone unturned to achieve their goal. Slowly, all democratic institutions will be taken over, minority rights will be absolved, and the constitution will be changed. So, shutting down Minority Commission and the ministry is part of the process. It is only one small step in the bigger design of changing India. 4. The Minority Commission Chief has said that Indians celebrating Pakistan's cricket victory should leave the country. Where does this notion of ownership of the country come from? The Chief has become the Chief because he was the minority head of BJP’s minority morcha. That is his claim to fame. First of all, that was a concocted case by the Madhya Pradesh police. The person who was forced to file the case later gave all the details of how the incident never took place. The main aim of all such accusations is to constantly emphasise that Muslims are not patriotic and their sympathies are with Pakistan. Secondly, it also keeps the jingoistic atmosphere alive. 5. Should Kashmiri Pandits get minority status? Within the Kashmir valley they could be given a minority status. Read Shabnam Hashmi's open letter to the members of the National Commission for Minorities. 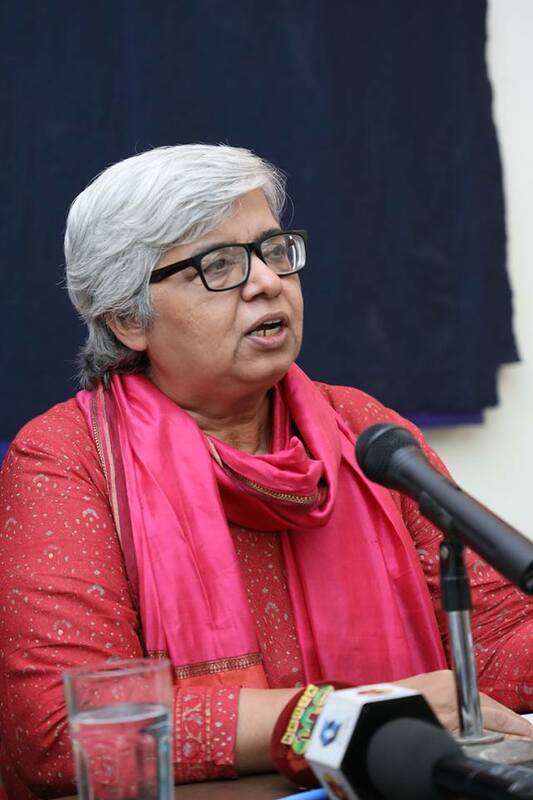 Shabnam Hashmi is a well-known human rights activist.